“Buy low; sell high”. That’s probably the best tip The Goddess will ever give you…please, let me know how that works for you. It seems like a great idea, but it hasn’t gone as planned for The Goddess. These tips, on the other hand, do work. If you have any other tips or suggestions, let me know. I’ll be adding things to this list over time, so you may want to check in here now and again. Tomato Paste, Leftover—The next time a recipe calls for a tablespoon of tomato paste, get the larger can, take what you need and then place a 1 quart freezer bag over the top of the can, turn the whole thing upside-down and remove the bottom of the can. The contents of the can will simply drop into the bag. Remove the can, toss it in the recycle bin and lay the bag flat on the counter. Close the bag, but leave about 1-inch open; this is to allow the air to escape. Gently, very gently, press the tomato paste into the bottom corners and throughout the entire bag. You’ll have a block of tomato paste that’s about 1/4-inch thick (or less). Now seal the bag completely. Place flat in the freezer and you’re done. The next time your recipe calls for 1 tablespoon, you simply break that amount off of your frozen brick and toss it in, then return the bag to the freezer…repeat as needed until it’s gone and you get to do this all over again! Pounding Your (Chicken) Breasts—Not like Tarzan, silly. You want a chicken breast that’s even to ensure even cooking, right? There are tools for this, but you can use a plastic-wrap-covered rolling-pin, or a small, heavy skillet. It is much cleaner and easier, if you slip the chicken breast into a larger freezer bag, push out the air as best you can, and close the bag, leaving about a 1-inch opening (the bag will probably explode on the first WHAM! if you don’t leave the opening…think about it. Then just rap away. 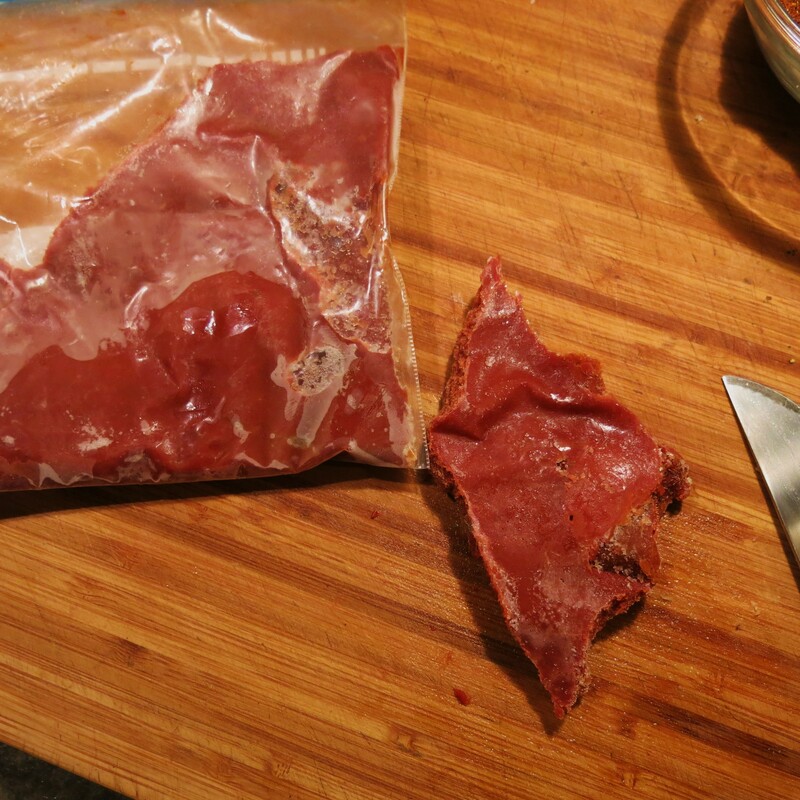 Remove the flattened breast to plate, add an unflattened breast to the bag; repeat the process until done. Then, just pitch the bag out, wash your hands well and make your recipe. “Breading” Doesn’t Need to Include Bread—Using rice flour, cornmeal, cornstarch, or potato flakes combined in some fashion or used alone makes a terrific breading. I use 2 parts each of rice flour and cornmeal (not too coarse, i.e. not for polenta) and about 1 1/2 teaspoons of baking powder and 1 teaspoon kosher salt per 1 cup of combined flours. 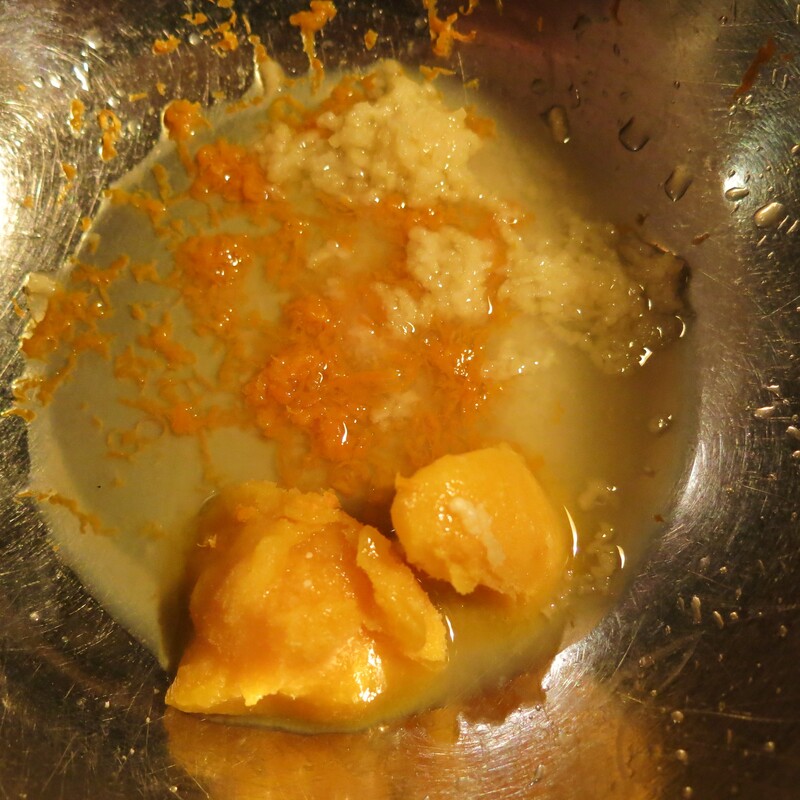 To this mixture you make add herbs, spices, chile powders, etc. This mixture is great for chicken, pork, fish fillets, or vegetables. I usually place the material to be breaded in a small about of buttermilk with 2 tablespoons of oil added/cup of buttermilk. If you add the oil, then you can bake these in the oven and they will brown, but they are much better either deep-fried or pan-fried. I find that when you bread something, it needs to sit for at least 15 minutes before you fry it. This gives the breading time to “set” and adhere well. This is the mixture I use for my fried chicken. This is of course, gluten-free! Great Pastry and Biscuits—Heat is not a friend when making flaky pastry or biscuits. Freeze the flour and butter or shortening overnight, if possible. Then, using the largest holes on your grater…that’s right, a grater…grate the shortening into the flour. Toss and add whatever liquid you’re using…and yes, it too, needs to be ice-cold. Remember to let pie crust take a little snooze in the fridge before rolling it out. Biscuits, on the other hand, should be rolled, cut and then I let them snooze in the fridge for at least 30 minutes. This “little snooze” lets the gluten relax and you’ll have softer, flakier biscuits and better pie crust. Removing Lemon Peel—When you want a slightly larger piece of lemon or a thin, thin strip in you piccata, use a vegetable peeler. 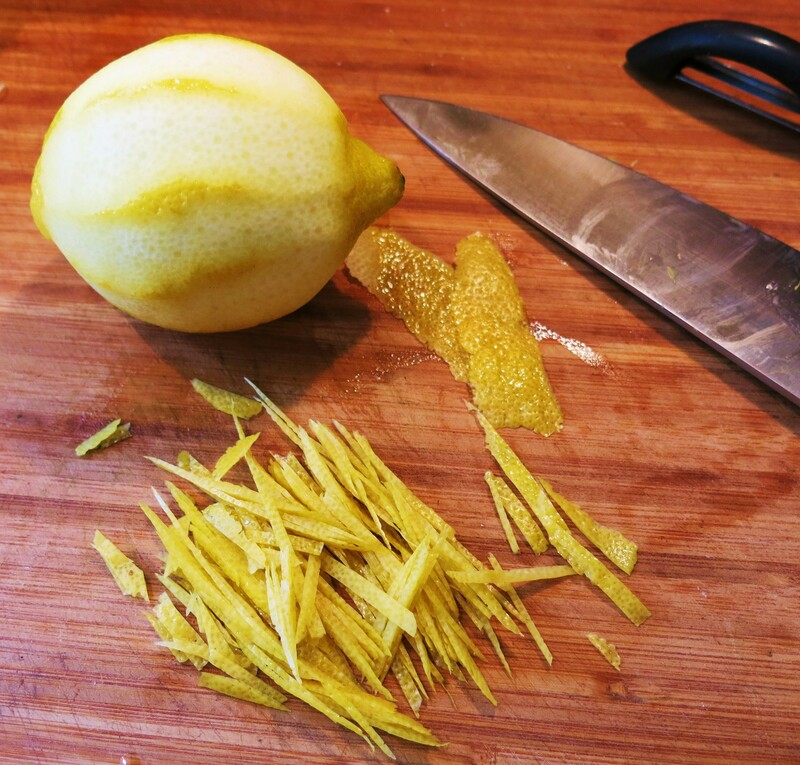 Remove the peel in strips, I find top-to-bottom strips work best, leaving the bitter white pith on the lemon. Now you can toss that whole strip into a stew, soup, rice, etc., to be removed later, if desired. On the other hand, you may chop or julienne the strips. To be added to piccata, stir-fry’s, salads, etc. This process applies to all citrus, though Clementines or the thinner skinned citrus, present more of a challenge. You can hand-peel those, pulling the peeling off in larger pieces, then with a teaspoon, scrape off the white pith. It isn’t quite as easy as using a vegetable peeler, but it is doable. NOTE: Not all vegetable peelers will remove a thin strip. I’ve had good luck with the “Good Grips”. Ripening Peaches—Seal under-ripe (but not green) peaches or nectarines in a paper bag. The fruits naturally emit ethylene gas (which makes them ripe). The gas gets trapped in the bag and speeds up their ripening. You can even add more fruit, like a banana or apple, to the bag to increase the amount of ethylene gas emitted. Do keep an eye on them, because they can become past perfect quickly. Storing Bananas—When I purchase bananas, I place them in the little bags provided by the produce department. The key is—don’t remove them from the bag. The bananas keep much longer, even when ripe. You can refrigerate a ripe banana, the skin will turn almost completely brown, but the banana inside will remain perfectly ripe for a couple of days. You can also cut ripe bananas in half (cross-wise), put a Popsicle stick through the center, dip the banana in orange juice and place them, not touching on a parchment-lined cookie sheet and freeze. Kids love these frozen treats! Frozen Fruit Juices, Unsweetened—You may have noticed The Goddess has a bit of a passion for orange. The Progeny would ceaselessly harass The Goddess, “Does there have to be orange in everything?” Yes, yes there does. The Goddess is cooking and it’s her call. She may still cut them out of the will…we’ll see. The thing is, frozen orange juice concentrate (FOJC), frozen pineapple juice concentrate (FPJC) and frozen apple juice concentrate (FAJC) are all fantastic ways to add flavor to or enhance sauces, use as “glue” for dry rubs, add to frostings, marinades, and vinaigrettes; the list is endless. The reason they are so useful is that they are concentrated. This means concentrated flavor in a small amount. No reducing 2 cups of juice to 2 tablespoons; it’s been done for you. Have them in your freezer at all times and you have at hand a wonderful tool to add flavor to almost anything. I use them most in sauces or saucy things and The Goddess knows saucy things! Cold sauces like vinaigrettes or Orange, Orange-Mint Chimichurri or Pan-Fried Tilapia with Pineapple-Cream Sauce. Isn’t it Sweet?—Adding a pinch of sugar to a tomato sauce can make the difference between great pasta sauce and so-so pasta sauce. The key is to taste the sauce at the end of cooking, add small amounts, pinch-by-pinch, tasting as you go. The same philosophy holds true for a great stew or gravy, particularly with beef and pork. Adding some sweetness, perhaps as little as 1 teaspoon to an entire pot of stew or quart of gravy, can make a huge difference in the overall taste of your dinner. The “sweet” spot can be achieved with sugar, ketchup, maple syrup, honey, apple juice concentrate, jams and jellies, etc. to give you few options. The Goddess has been known to make a decent pot roast and she always, always, always adds just a bit of ketchup to her gravy/sauce. No one has any idea it’s there, because you don’t add more than 1-2 tablespoons (depending on the amount of gravy you want). But if it isn’t there, the gravy just isn’t as good. And The Latin Lover and The Three Progeny love their gravy. The “Essence” of Garlic—I use garlic essence a lot. I take it for granted and I’ll take a picture later, but seriously, you’re intelligent people, you don’t really need a picture. This is how it’s done: Take bowl and it doesn’t matter whether it’s wood, glass or even plastic, a large-ish, peeled clove of garlic, halve it, and lovingly rub the cut side of each half all over the inside of the bowl. Now you can throw in your salad ingredients, your sautéed veggies, hot pasta, etc., whatever you want that lovely, garlicky flavor to imbue. This isn’t subtle, but it isn’t an in-you-face garlic flavor either. It’s just sort of the perfect amount. You taste it, but it’s a bit illusive. Rubbing a halved clove over grilled or toasted bread is spectacularly good and delicious. Natural Ant “Discouraging” Options—Cinnamon and Cucumbers! The Goddess does not joke about such things. Dip a Q-tip in cinnamon and draw a border anywhere you see those tiny ants; they will not cross the border. Bonus…it’s safe for kids and your house will smell great. As for cucumbers, simply rub the cut edge along the sink or window sill…wherever you see the tiny beasts. They won’t cross it. I haven’t had those tiny ants around in years…. Liquids don’t tend to evaporate, but rather multiply in a slow-cooker. Therefore, reduce liquids by at least 1/2, unless you’ve added rice or pasta. I usually try to have no more than about 3/4-1 cup liquid that I add. This does not take into account the liquid that will come out of vegetables and meats. The liquid on say, canned tomatoes…need to be counted as part of the over-all liquid. Leave the lid alone! Get your hand away from it! Every time you lift the lid, you’re adding about 20-30 minutes to the cooking time, particularly if you’re cooking on LOW. One hour on HIGH is more or less equal to two hours on LOW. Don’t over-fill the slow-cooker or the food will not cook properly. Food will cook too quickly if you under-fill. Fill about half to two-thirds full for food to cook properly. When cooking chicken, choose dark meat. White meat (breasts) will almost certainly overcook and be dry and what’s the point of that? Skinless, boneless thighs are terrific. Bone-in pieces, will have more flavor. Chicken should be done in about 4 hours on HIGH. Ground meat is best pre-cooked in a skillet, drained and then added to the slow cooker. Browning larger chunks of meat (beef, pork, lamb, venison, etc.) in a skillet, before adding them to the slow cooker, will add flavor to the finished dish. Eggs are kind of a big deal for a lot of recipes, working as binding agents, leavening agents or used to add moisture to a mix. What you can use to replace your egg really depends on what purpose its serving in your recipe. Run out of sugar? No problem! Whether you’re making soup, pie or sauces, sometimes you’ll need to add a thickening agent to get the consistency just right. Cornstarch and flour are commonly used, but you have a few other options too. If you want to substitute with arrowroot, use it for more acidic liquids, it doesn’t mesh so well with baked goods or dairy dishes.